Mostly flat to rolling, shady roads. All rides go through Harold Parker State Forest. 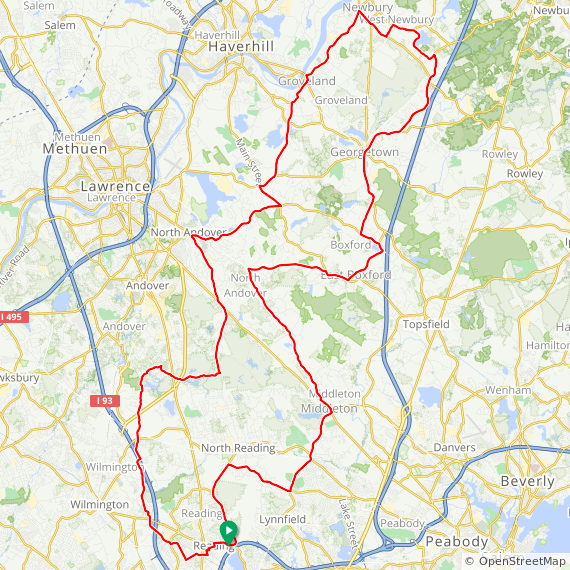 Short ride goes through Reading, Wilmington, N. Reading, Middleton, and Lynnfield. Medium ride adds N. Andover, Boxford, and Topsfield. 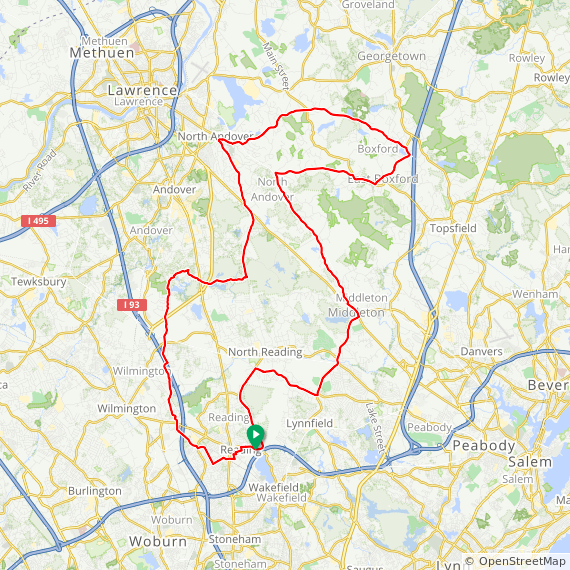 Long ride adds Groveland, W. Newbury, and Georgetown. Rest Stop is in front of the library in Middleton. Please park away from the shops. Shops for replenishing food or drink are available along the ride route.